The virulently anti-LGBT Perkins was appointed to the government body by Sen. Mitch McConnell. 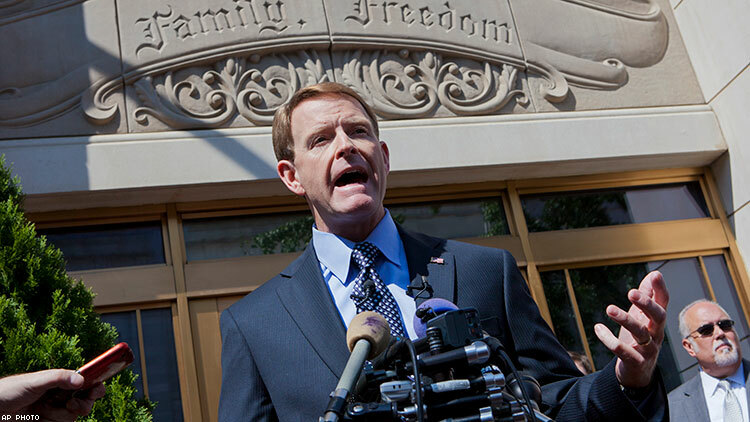 Tony Perkins, the virulently anti-LGBT leader of a certified hate group, has been appointed to a two-year term on the U.S. Commission on International Religious Freedom. Perkins, president of the Family Research Council, was appointed today by Senate Majority Leader Mitch McConnell. The body “is an independent, bipartisan U.S. federal government commission, the first of its kind in the world, dedicated to defending the universal right to freedom of religion or belief abroad,” according to its website. Members are appointed by the president and congressional leaders of both parties, and make policy recommendations to the president, Congress, and the secretary of State. The Southern Poverty Law Center, which monitors hate groups, has long had the Family Research Council on its list of such groups because the FRC “often makes false claims about the LGBT community based on discredited research and junk science,” says the SPLC’s website. Another anti-LGBT leader was appointed earlier this year to a position dealing with international religious freedom — Sam Brownback, as U.S. ambassador for religious freedom. Brownback, whose position is separate from the work of the commission, compiled a long anti-LGBT record as governor of Kansas and a U.S. senator from the state. Nominated by Trump, he was confirmed by the Senate in January.